This level has medium difficulty. For this level try to play from center of the board and make special candy as you get the chance. 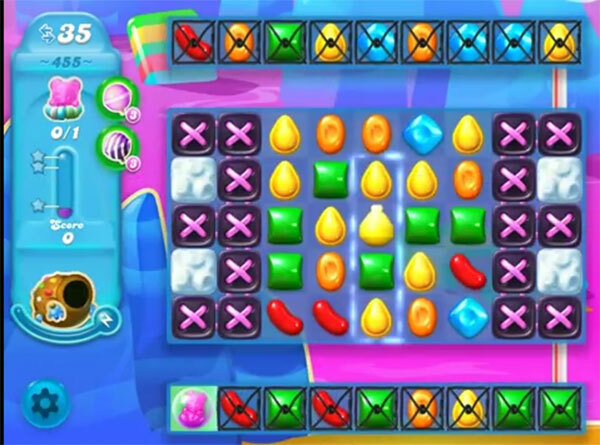 Combine special candies with each other to break the blockers that are in bottom or in left side. Play more from left side to break the left blockers to take bears to the top. it says not difficult, even though i done it third try i found it hard. Ok, I don’t like this level at all. finally got off of level 454, and now you give me another hard one. Hopefully it won’t take me forever to get off of this level.